Many people head to Vegas in hopes of spending time in the clubs, going on a Las Vegas pub crawl, and enjoying the busy nightlife scene in the city. From top-name DJs to sleek interior settings, there is much to enjoy about partying in one of the most popular destinations in the world. When you don’t want your budget to cramp your fun night out, there are a few important tips you should follow. Eat before you head out on the town to avoid spending your whole paycheck on mozzarella sticks or potato wedges. Bring a few snacks if you need to maintain your energy, but try not to order food from the menu. Club-hopping doesn’t mean you have wait to get the party started once you hit the town. Buy your own alcohol from the grocery store, which is 80 percent cheaper than ordering it at the bar. Drink one-half of your tolerance level before you leave your hotel room. Spending the evening with beautiful women might be a good way to avoid the cover charge when getting into clubs. If you’re new to the town, strike up a conversation with someone outside and offer to buy her a drink for an easy way of getting in for free. 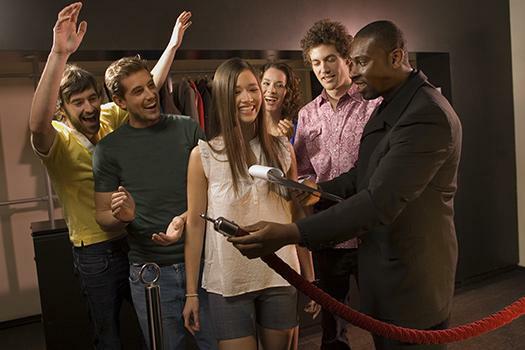 Cover charges are often required at clubs where the line is around the block. However, many clubs will let you in at no additional cost if you arrive before 10pm. Getting to know the bartender will allow him or her to have more of appreciation for the tip you leave after you get to know his or her name and story. You’ll also be able to get away with tipping 15 percent compared to 20 percent once you become a friend instead of a stranger. You can set a budget for yourself by only bringing cash with you, which will prevent you from overspending on one extra drink by using your credit card. If your goal is to feel the effects of the alcohol quickly, it’s important to know the cheapest beers and drinks to order. Understanding the cost of different types of alcoholic brands will make it easier to stretch your dollars without compromising on the quality of your night. Drink the good alcohol first before switching to the cheaper products. Clubs that recognize your face will value your business and may offer you more perks each time you pay a visit. Get to know the bouncer, tip well, and avoid being picky with the food you order. You might get a VIP table or a free drink with a bit of patience. If you’re looking forward to going club-hopping while in Sin City, there are many advantages to taking a party bus. Las Vegas, NV, is home to Turnt Up Tours. Book with us and you can check out the hottest clubs in town. Call 702-843-0525 and get ready to come party with us.